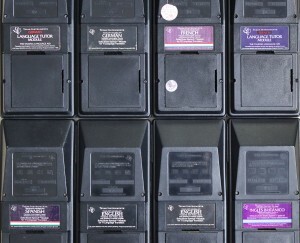 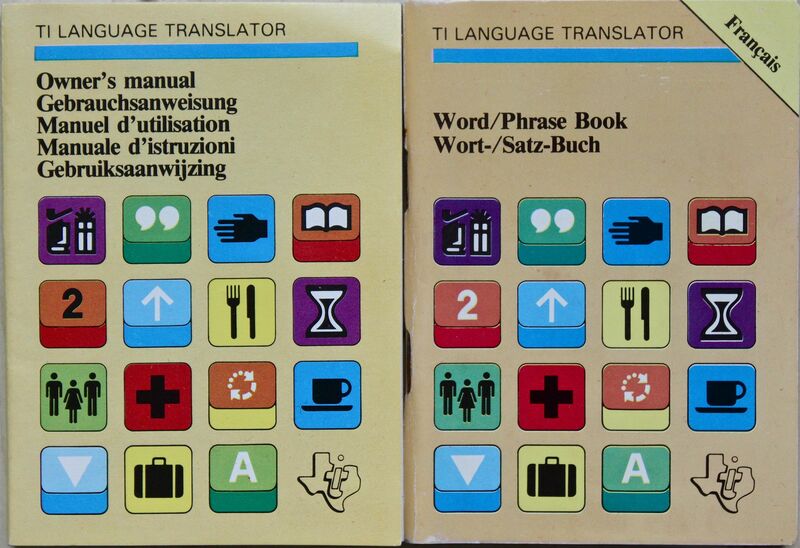 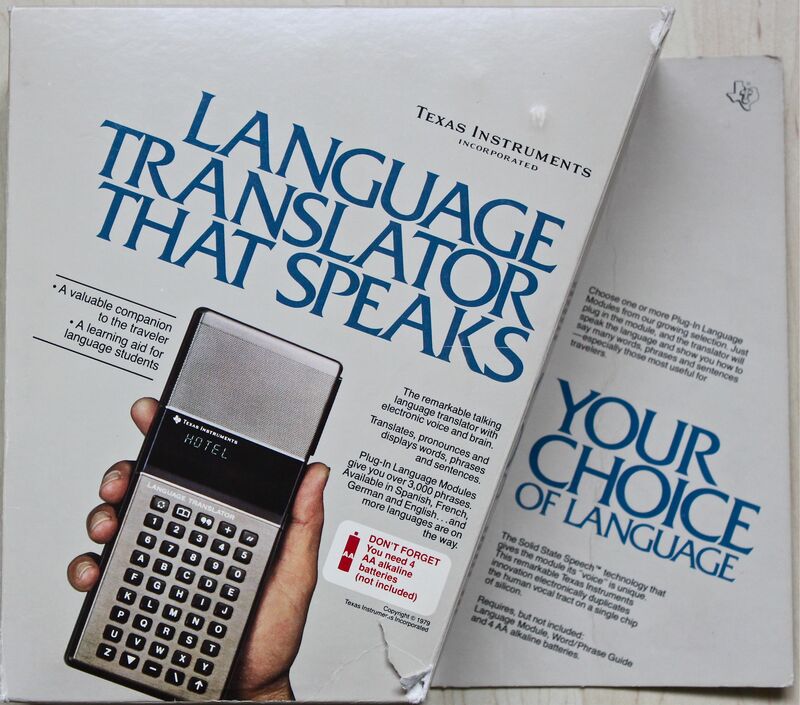 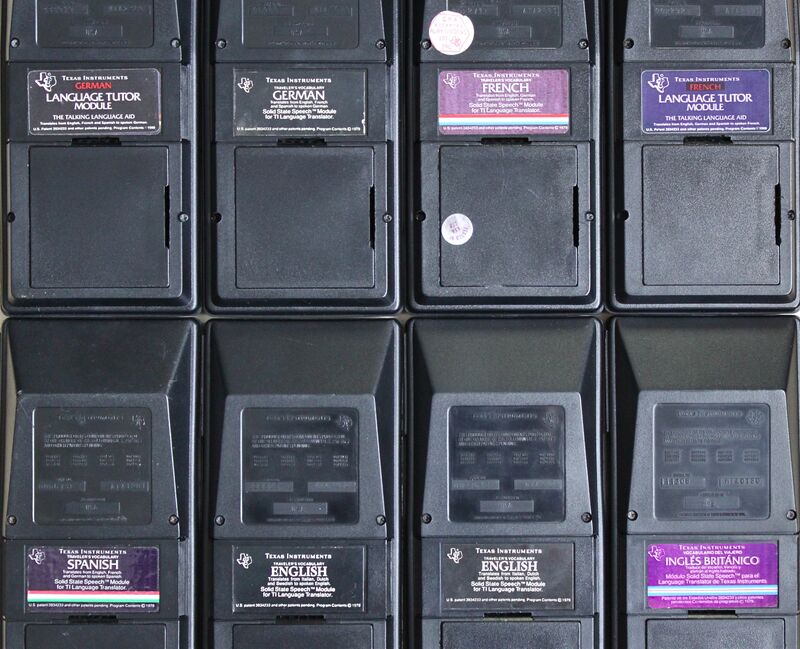 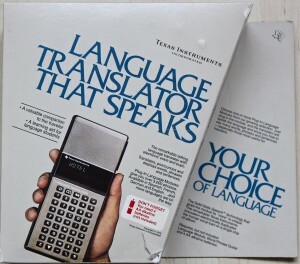 The two different versions of the machine, the Texas Instruments Language Tutor and the Language Translator. 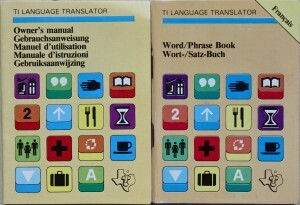 There were four different languages available, German, English, Spanish and French. 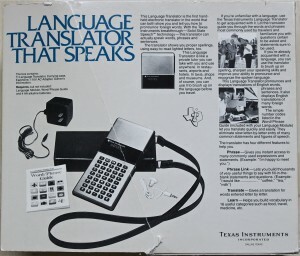 More were planned, but to my knowledge unfortunately never went into production.